The original, professional level fairway driver. The Eagle is the original, professional level fairway driver. It ushered in a new era for distance and reliability. The Eagle’s superior speed and predictable flight characteristics let you make confident and accurate long range power shots. The Eagle's high speed turn is excellent for power turn over shots. 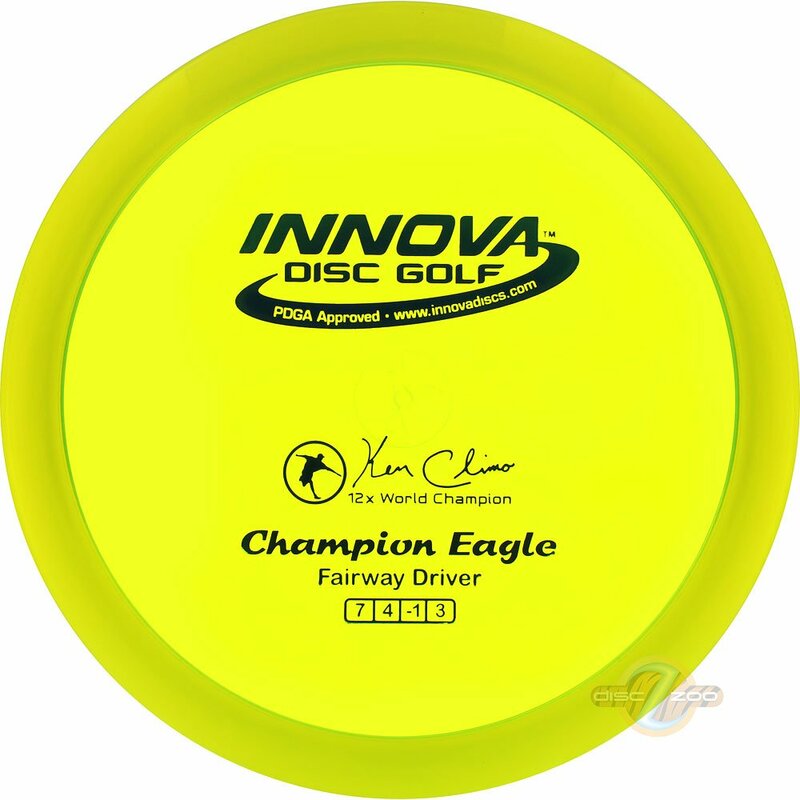 For over a decade, the Eagle has been soaring over fairways. The distance and control of the Eagle was a godsend when it was released, immediately becoming THE #1 driver in disc golf. Keep one in your bag for sidearms or S-turns. The Eagle is graceful, swift and fierce all at once. My go to Driver. I can count on its stability in all situations. Great from 325-400 for backhand and 250-325 for consistent forehands.